So I went to a local, non franchised pet store and had a 100 times better experience. The sales person there was well experienced and not only answered my questions but elaborated on ideas! I showed him the pan flit that came with the Aquaponic System and he knew all about it. The pan flit for the system does recommend fish but most of them are wild like Perch, and "netted" Minnows. You won't find those in most pet stores, but you will find assorted Gold Fish. I didn't go with them though. 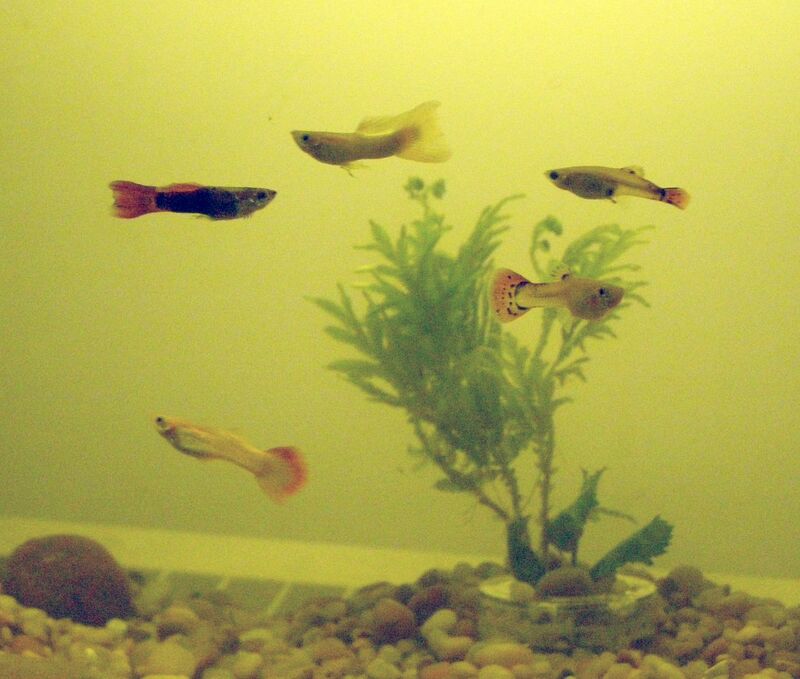 I wanted something easier to reproduce, so I bought some Fancy Guppies. We'll see how they do and maybe I'll move over to something else later on. Actually I'd like to add another kind of fish that won't nibble the tails to the Guppies. So here's the system as I've set it up. It's on a four teared shelf with grow lights hanging above about. Ideally I should be able to move the lights to be 1 inch away form the plants, otherwise they tend to grow long which isn't great. I'll see what I can do about that. I know it doesn't look nice but that's partly the poor lighting. 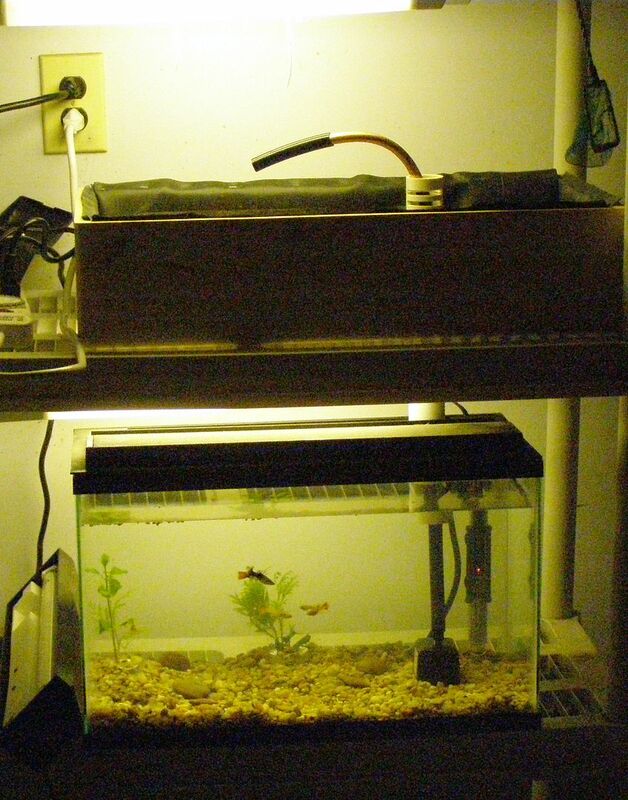 The fish tank and flower bed are closer together too to get rid of the constant sound of water. Every hour for 15 minutes water is pumped to the upper flower bed. It quickly drains down to the lower level but the idea is the fish waste fertilizes the plants. That is to say it will. While shopping for fish I learned all fish tanks when starting up go through "The Cycle." This is the first 2 weeks or so when all the bacteria grows like crazy and eventually finds a balance. Having your water tested after this cycle is complete is recommended and I fully intend to do just that! I'll report back in two weeks or so. Until then thanks for reading.